This joint always reminds me of the SMT “loopy” infill plane that was one of the first of that type I’d ever seen (original FWW tools & shops issue? ), and probably was the nudge that sent me down the path of beautiful hand tool lust. (http://www.wkfinetools.com/contrib/cschwarz/loopyInfill/loopyInfill-1.asp). 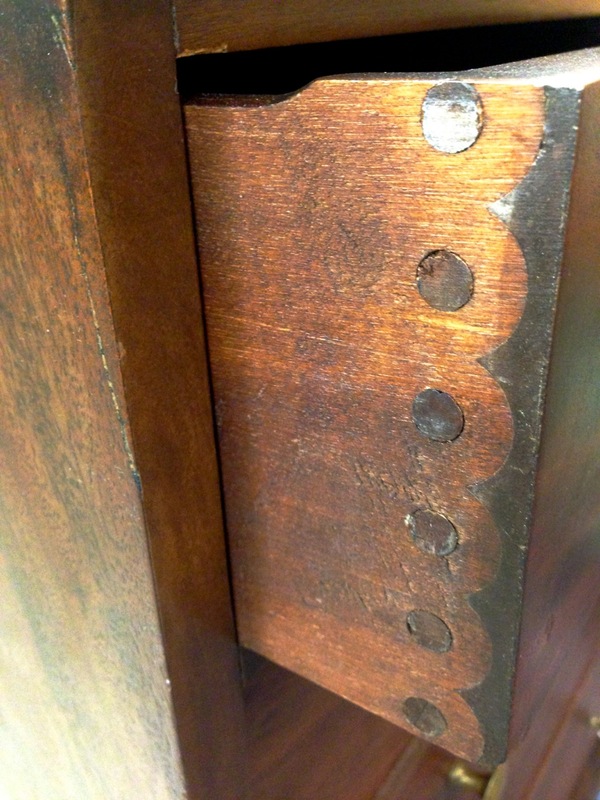 To your point though, I don’t think this came from that machine directly as the holes are not consistent enough. The edge distances vary enough by eye to prevent them from assembling, Of course unless this molding was scrap from a run dialing in the machine. Once again, I agree with Jeremy. It looks similar, but the scallops are too deep and it isn’t consistent enough to be machine made. I think it was hand done to resemble it, though maybe not necessarily to resemble the Knapp joint. Oh, by the way, I happen to be a huge fan of the Knapp joint and found those links you mentioned some time ago, myself. 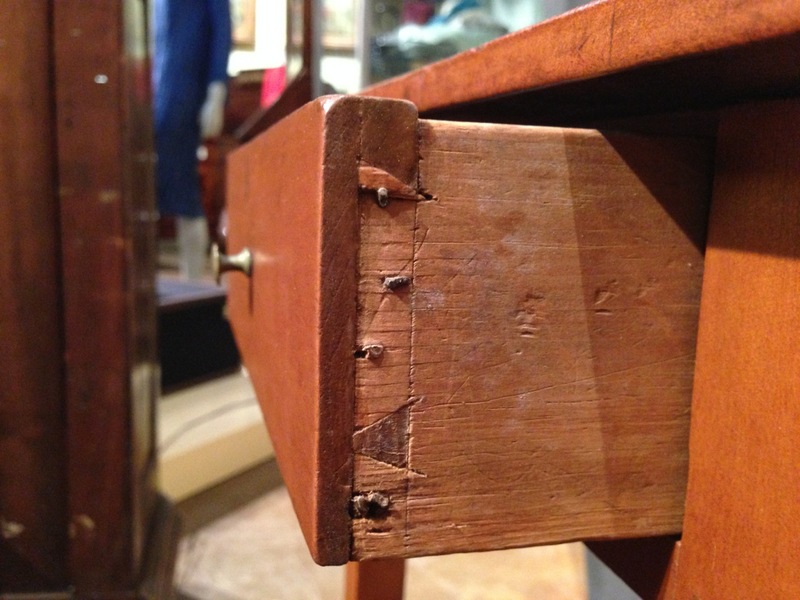 I got my first piece of furniture with Knapp joinery when I was about seven or eight. I tried using the zoom out option to get a better look at the overall design of the mirror, but to no avail. The vertical alignment looks off so this piece seems to be a marriage of some sort. 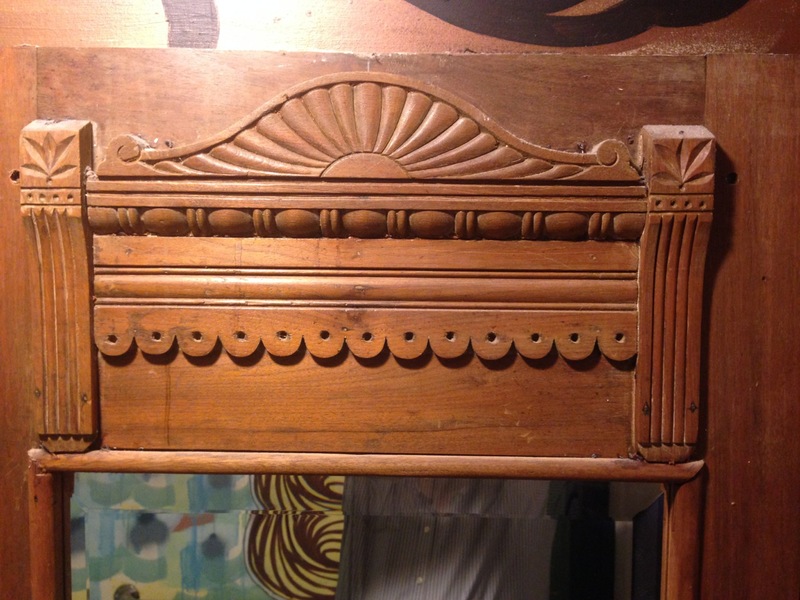 Without seeing more details, I think it’s an attempt by a dealer to join up a beveled mirror with a piece of decoration that broke off another piece. I think the ‘knapp’ edge is simply a variation on a dart and egg. Looks to me like they took the strip of half moons home, and cut the holes by hand.